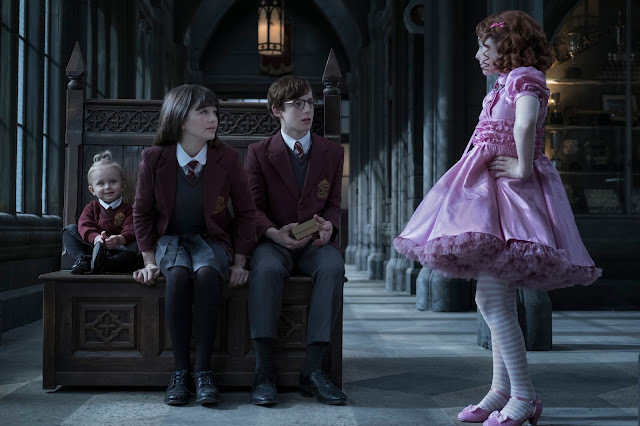 It’s our first time to experience the weird and horrific world of the Baudelaires with the second season of Netflix’s “A Series of Unfortunate Events”. 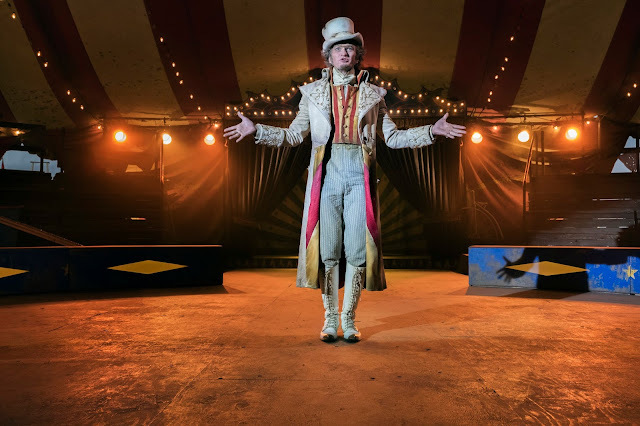 While we admit that we barely knew the source material, we found ourselves heavily-entwined and entertained with the show’s undeniable quirky gothic design. The second season continues the misadventures of the Baudelaire triplets. Still, without a proper home, they are still being helped by the family banker Mr. Poe. to find themselves the perfect guardian. This is easier said than done not with the nefarious Count Olaf hot on their heels. The triplets find themselves being transferred time and time again as Olaf always finds a way t catch up with them. From a school, to a luxurious penthouse, to a village, to a hospital and even a carnival - misery follows the Baudelaires every step of the way. 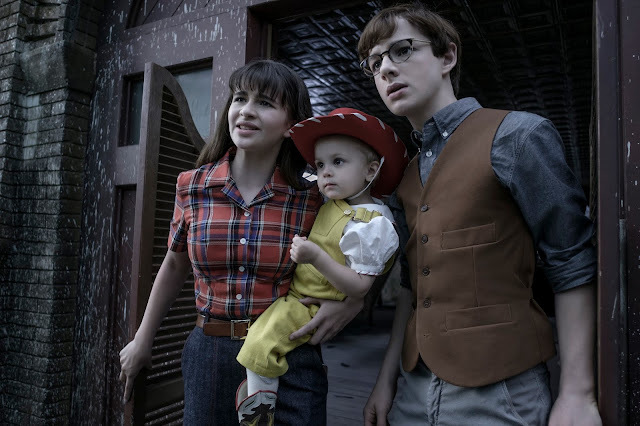 Being a middle child of a three-season series, the second season of “A Series of Unfortunate Events” is a mixture of pure fun and setbacks. We say this as the whole season had a hard time pushing its bigger narrative forward. On a per-episode basis, the show actually turned out great. The settings, characters and even the disguises had us laughing. Our personal favorites were the episodes for the “Ersatz Elevator”, “Hostile Hospital” and, “Carnivorous Carnival”. Unfortunately, there’s no denying that the show holds back a lot with its revelations. We do not get much until the last two episodes and those, as expected, even ends with a huge cliffhanger. It might also be a little bit tiring on how heavily-formulaic the show is. Part One is introducing the Baudelaires to a new home with Count Olaf finding a way to disguise himself from everyone else. Part Two would be the Baudelaires trying to reveal Count Olaf and him escaping. The settings and the characters change but its basically the same story. On the acting department, we could easily conclude that Neil Patrick Harris stole the show as the devious yet flexible Count Olaf. Every episode, he had to be a different character and he was great at it. 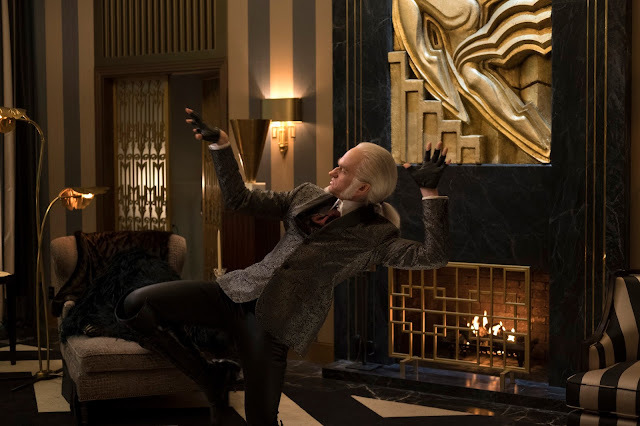 May it be to act, to sing, to dance or all of them, Harris was able to bring Count Olaf to life by giving it his all. Close to Harris’ great performance was Lucy Punch as the socialite Esmé Squalor. As for the leads playing the Baudelaire seniors, Malina Weissman and Louis Hynes were good enough. 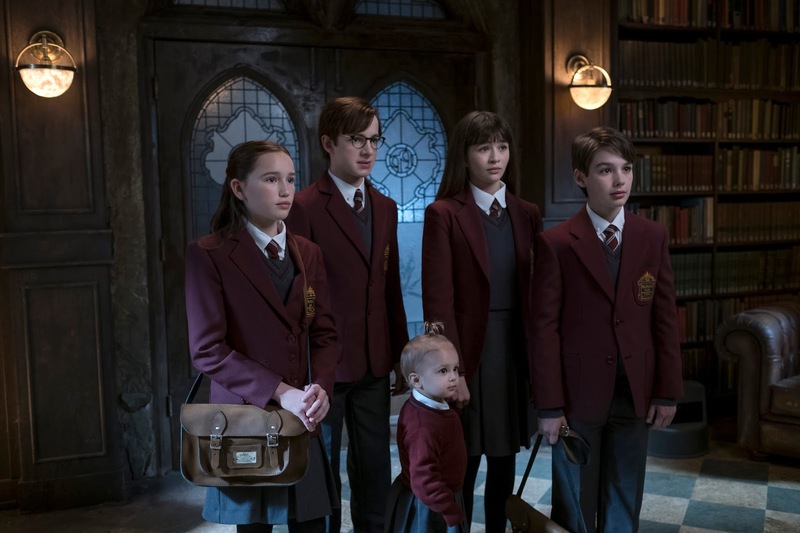 We felt that their acting was a bit muted but it could be how the Baudelaires should be portrayed in the first place. On the visuals department, we were caught off guard on how low-budget the visuals turned out to be. We do get that the fantastical set pieces would be hard to do in real-life but the obviously bad CGI we do not get. There are outstanding portions on this regard like the swanky penthouse of the Squalors but most of it looked fake. Overall, we were caught off guard with how much we actually enjoyed “A Series of Unfortunate Events”. The first two episodes were pretty rough but the series found its footing and never looked back.